It's been a big 12 months for SCA with a new line-up, network name and feel for the station. Now, SCA's FoxFM content director and head of the Hit network, Dave Cameron says the focus is on its World Famous Rooftop brand as it looks to build loyalty for the revamped Hit network. The World Famous Rooftop brand has been around for the past two decades but Cameron said the network is now looking to leverage its staying power, to help the network stick with consumers. The Hit network has been through a turbulent 18 months following the departure of former presenters Kyle and Jackie O to Australian Radio Network's Kiis station, but it's worked hard over that time to boost its offering. Cameron said having an experience proposition to give consumers “give you brand loyalty” is above and beyond what radio stations traditionally offered. “If we're just giving away cash contests and disposal prizing it's like a sugar hit, you’ll get people coming in and out for quick prizing,” Cameron said. The rooftop brand has hosted some of the biggest names in music over the years – Alanis Morissette, Savage Garden and Coldplay are just some on the list – but Cameron said key to refreshing the brand is ensuring that it hosts the most in demand acts in music. 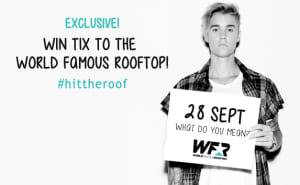 Next week, World Famous Rooftops will be featuring an intimate 300 person crowd event for Justin Bieber. More than that, Cameron expects the platform to move beyond music to events, noting that “The World Famous Rooftops you'll see in 12-18 months will be progressed from where it is right now, just a a sole music platform”. “We consider that it’s ubiquitous, it doesn’t need to be on a rooftop any more, it's a brand in its own right,” he said. “While we build the rooftop specifically around music, we like to think the brand can accommodate a whole new type of entertainment. The other way the platform has been revamped is through digital. Cameron says between 30-40% of the production around the event is now digital, from social and even including technology allowing SCA to turn around the production of an event for national airplay within a couple of hours. 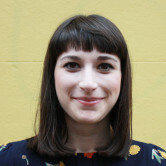 Cameron sees another big opportunity on the horizon for the platform: advertising. While he said the platform has been commercialised off and on over the years, he said that World Famous Rooftops is “open for business” but it's not a priority. “We're not focusing on commercialising it right now, the main focus is just providing an incredible experience for our listeners first and foremost,” Cameron said.